Your face can show your personality and your openness, but it doesn’t have to reveal your age! Facelift surgery is one of the most popular cosmetic procedures in the nation. 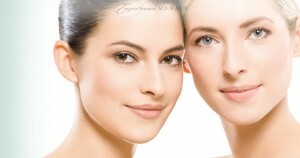 Our double board certified facial plastic surgeon, Dr. Eugenie Brunner, performs advanced facelift techniques that can be customized to your unique anatomical needs and expressed goals. As a result, you can restore a more youthful appearance to your features and still look like you. The first step, however, is determining if you will be a good candidate for this treatment. Your safety is Dr. Brunner’s foremost consideration. During your initial consultation, she will examine your areas of concern and thoroughly assess your medical history. If you take prescription medication for your health, have ever had surgery, or smoke cigarettes, these are important pieces of information to provide. To undergo facelift surgery, you should be in good general health and a non-smoker. Additionally, you should not be taking blood thinners. Dr. Brunner can detail which products are considered blood thinners during your meeting. Facelift surgery can be an excellent way to address facial skin laxity, loose muscles, and deep creases. If you also experience fine lines, uneven skin tone, drooping eyelids, or other concerns, Dr. Brunner may recommend a multi-discipline approach for more comprehensive results. One of the ways she can achieve natural-looking results is by combining modalities, such as laser skin resurfacing or additional surgical approaches, to optimize your outcome. We believe doctor/patient collaboration is essential, and you will always have the final say in your treatment. Curious to learn more about the candidacy requirements for facelift surgery? Contact us today for more information or to schedule a consultation with Dr. Brunner.